Cost is forgoing measured in monetary term incurred to achieve a specific objective. Cost Accounting is branch of accounting also called “Managerial Accounting “which is used to check the efficiency of producing, selling and administrative department by applying applied and actual FOH techniques it help in management to control cost of production and distribution. 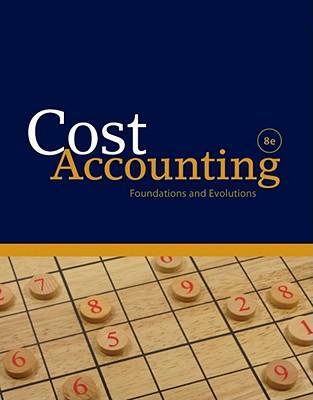 Cost Accounting is helpful in making a number of business decisions. By weighing the actual costs versus the anticipated benefit, it prevents the purchase of unnecessary goods and services. It evaluate the status of a department within the company or as a tool to project the feasibility of opening new locations or closing older ones. Cost Accounting can provide important data that may impact the final decision. What is difference between cost and expense? Cost is the amount invested in obtaining a product the benefit of which have not yet been received or consumed in connection with the realization of revenue. Expense is that part of cost the benefit of which have not yet been received or consumed in connection with the realization of revenue. When an item of expenditure remain the same regardless of the increase or decrease in the level of activity we refer to this as fixed cost. Cost that change in proportion to sale are called variable cost. Semi variable costs are those which have both fixed cost and variable coast elements. It is that element of cost in which we include the cost of direct material and direct labor if we take it total it becomes prime cost. Example: making furniture wood is direct material. Cost included wages of the labors. It is used for producing the product. Except direct material cost and direct labor cost all expense will be direct expenses cost. These are the main factory overhead cost.